How frightening! Halloween is right around the corner and who has loads of extra time to make the midweek holiday Spooktactular? Not you? You are not alone! Here at the Imperfect Women headquarters we are always brainstorming trying to come up with ways to make the holidays fun and stress free. While easy is a prerequisite we also want it to look like Martha Stewart handcrafted it herself. Now that’s a tall order. This year we have come up with three fun, easy ideas that are sure to delight the little ones all the while keeping Mom stress-free! I am all about keeping things simple for Halloween. I’ll stay up all night making my special Truffles for Christmas, but for Halloween if I can buy all the ingredients at gas station convenience store, I am happy as a clam! 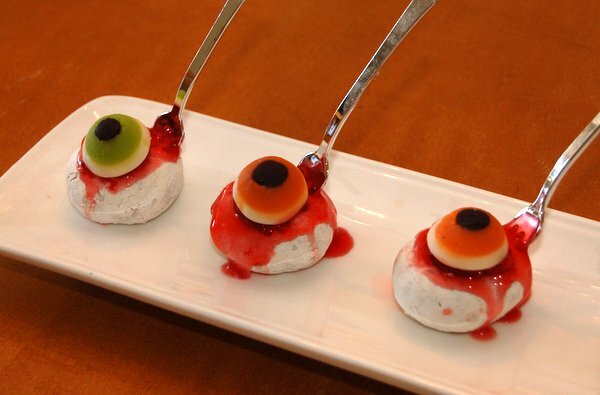 These Gruesome Halloween Eyeballs certainly fit that criteria. Easy, fun, and the kids love them. 1) Eye Balls (not too bloody) recently enucleated, or if you can’t find them, try Hostess Donettes Mini Powdered Donuts or Powdered Donut “Holes”. If you can’t find powdered donut holes buy the plain ones and shake them in a bag of powdered sugar. 2)Coagulated blood with clots. Or if you can’t find it, a can of Cherry Pie Filling. 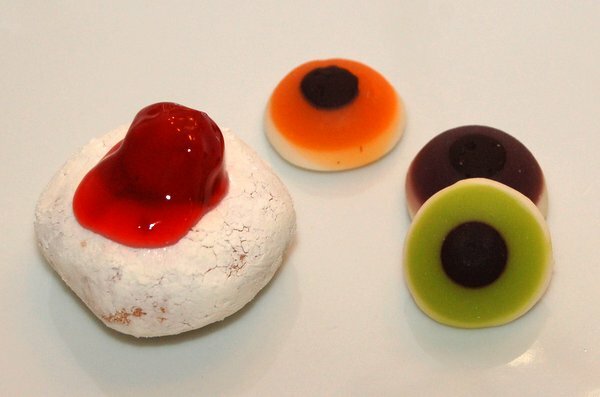 3) Gummy Eye Candy (I found mine at Party City, I also have seen them online at Orientaltrading.com ). 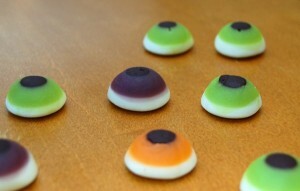 If you can’t find them, try using Gummy Lifesavers for the iris and stick a Skittle in the middle for the pupil. 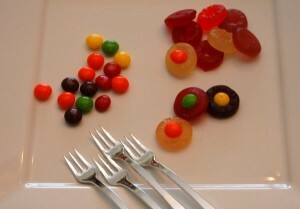 4) Plastic forks (I like the ones that look like stainless steel forks but are really plastic). 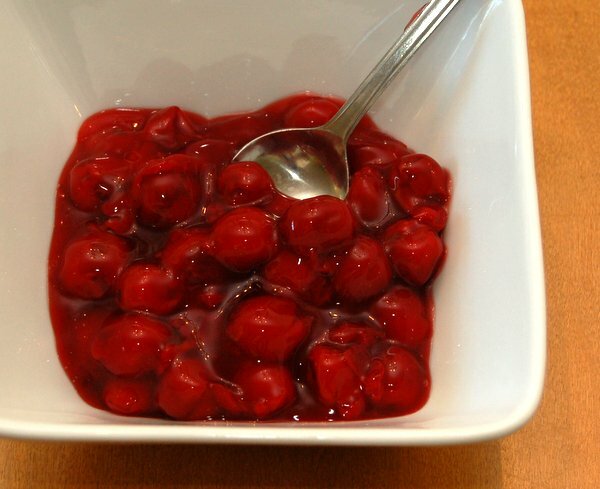 Place a cherry with a small amount of filling on the top of the mini donut. 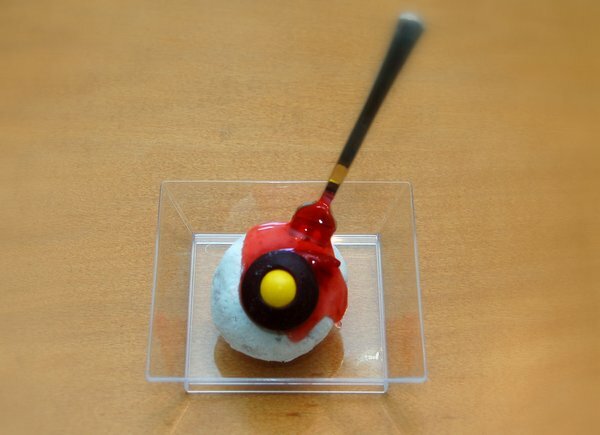 Use the eye candy to squish down on the cherry so it oozes down the sides of the donut. Dip plastic fork in the pie filling then stick into donut. Serve to all the little ghosts and goblins at your next Halloween party! I got the idea for this fun craft a bunch of years ago when my neighbor’s sweet-as-pie 5 year old twin boys asked me what I gave out for Halloween Treats. “Broccoli,” I replied matter of factly, “And for really special kids I might give a turnip or some cauliflower.” My off-the-cuff remark caused a week of speculation at my friend’s house. Could it be that Ms. Pie would actually give out veggies for a Halloween treat? No it couldn’t be, could it? After I got the ball rolling I couldn’t very well stop it, could I? I got to work on my computer and fashioned a realistic looking label. Using double sided tape (a glue stick would work well too) I stuck it to a plain brown paper bag. 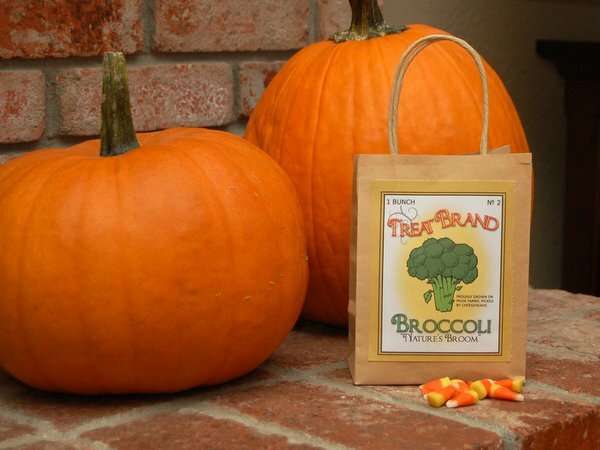 When the kids came to the door I peered into their goodie bags and said, “Oh my, too much yucky candy, I have just the thing to remedy that!” And out came my bags of broccoli and turnips! Their mom later told me it was the first thing they hunted for in their bags when they returned home, and, of course, they were relieved to find candy and not broccoli in the bags! I wouldn’t recommend putting actual veggies in the bags, unless you would love to find the trees in your yard filled with pretty toilet paper in the morning. But I’m just sayin’. 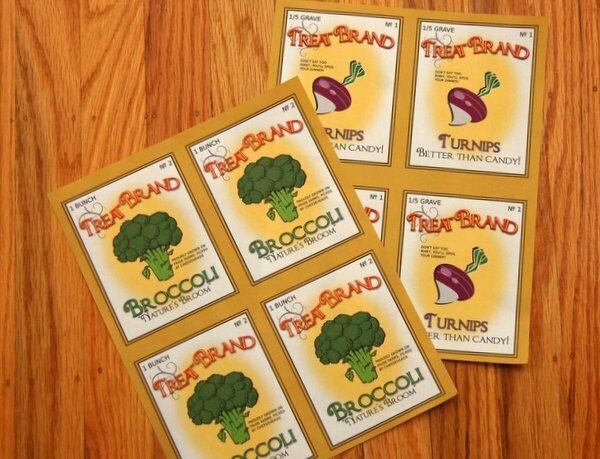 You can download the labels here for the turnips and here for the Broccoli. Just print, cut apart and stick to a bag. Fill with candy and you are good to go! Nancy from Imperfect Women makes these great Milk Jug Ghosts. So fun and easy! want to go over it a second time so the details are very opaque in color. Cut a 2-inch circle in the back (lower third, center) of each jug. These make great pathway lights. 5 Fabulous Ways to Get Ready for Summer! I love the milk jug one. I did that last year. I love the milk jug idea. I think I have to save mines and give that one a try. I am soooo doing the eye ball thing. So funny about the brocolli. Love how you took it to the next level for them. Cute and gross all at the same time! I LOVE the Halloween Eyeballs! My mom is a nurse and looking for ideas for a Halloween themed baked sale at her hospital this weekend. This is PERFECT! I can’t wait to show her. Cute Pattypie, I love the label idea. I can’t wait for my girls to come home from school so we can make the milk jug ghosties. 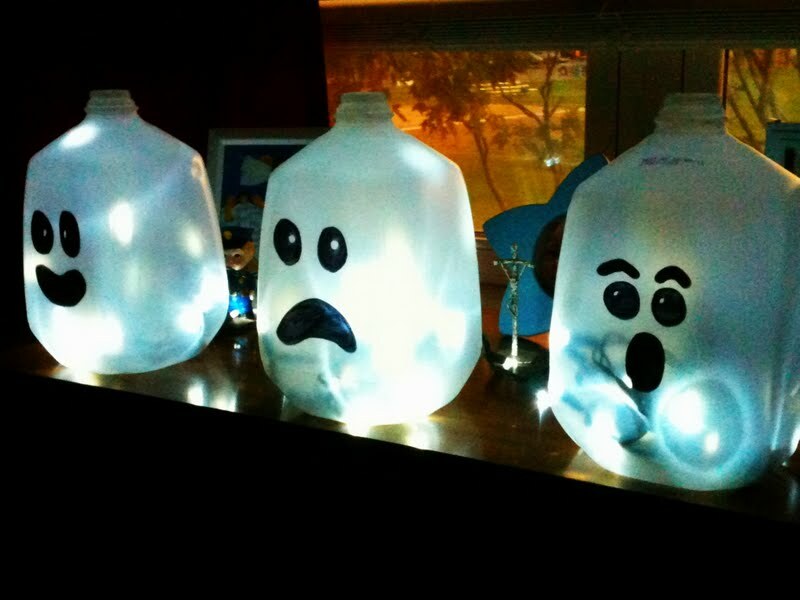 I can’t try the Milk Jug Ghosts for Halloween, but I wonder if I could tweak them to work for Christmas! Oh how fun for a nurse to bring eyeballs to a bake sale! Angela if you figure out a way to turn the jugs into something for Christmas be sure to let us know. There’s got to be a snowman in the jug some where! Snickers – I thought those veggie labels might interest you! Good clean Halloween fun! Angela if you make snowmen or something with milk jugs for Christmas, please share a picture with us! Seriously, awesome, original ideas. Those labels are genius. I’d love to see the looks on the kids faces when they first see them! Love the milk jug ghosts too. Love the labels! You are always such a hoot! Aaah, the true spirit of ToT! You’ve got me excited and I realize I need to get a hustle on. Those eyeballs are great and sound delicious. Really cool. How fun!! THose eyeballs are creepy and would probably scare my 2 year old. Love all of it. Thanks for sharing. Love the Ghost milk Cartons! LOVE the eyeballs. Pinning it! Great post, Ms. Pie. 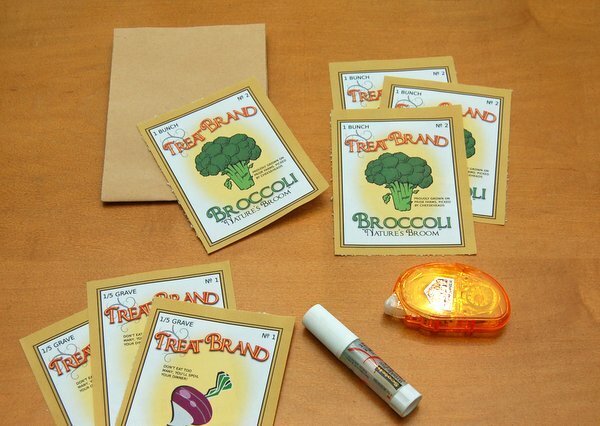 I love all of these ideas, especially the veggie bags. Those are too cute and thank you for creating the labels for anyone who wants to use that idea. This would be fun for my boys to make this halloween. 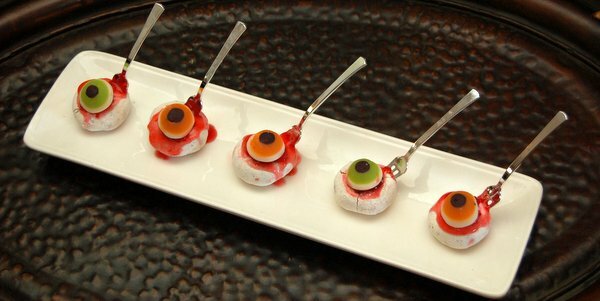 I like the eyeballs idea for my husband to bring to work when they have a contest on the scariest food or something. The milkjug chosts are really cute and use stuff I already have! I’ve been scouring Pinterest for cute Halloween crafts and this is perfect! Those eyeballs are so cute! 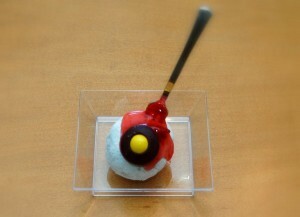 I absolutely love the Gruesome eyeball treats, it looks like such fun to make! Definitely something I might just try for upcoming Halloween festivities. 🙂 Thanks so much for sharing. i love all of these ideas, thanks for sharing! I love these simple ideas. Im crafty but i can never think of stuff on my own. So thanks for giving me inspiration. LOVE the milk jug idea!!! So stinkin cute. Will have to do that with my little guy this year! These are so cool! Thank you so much! Those look perfect for the squeamish. Good job! I don’t know if I could bring myself to eat one though. ha! Cute ideas. If I used trick labels I’d probably end up with a broken window! Thise are fun and whimsical! I love the Eye Balls! These would be perfect for the school party! OMG! will be using the eyes for my son’s b-day party!! Thank you!!! These are so inventive! The eyeballs are just gross enough and I love the milk jug light. Hope you have a great Halloween! I love the milk jug ghosts they’re awesome and so cool looking. The ideas are soo cute! I love the trick labels! Oh my god!!! I love the eye balls!!! What a great idea for a Halloween party. So many great ideas, I love crafts for Halloween!